Thomas Wright Beck, son of William Beck Jr. and Rebecca (maiden name unknown), was born on December 28, 1799 in Sampson County, North Carolina. 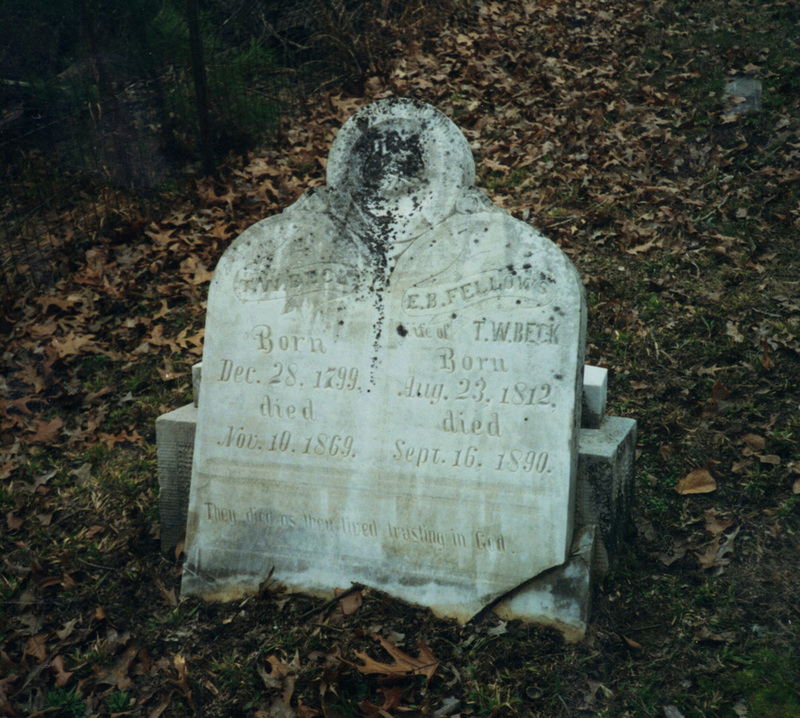 He died November 10, 1869 (age 69) in Carroll County, MS. He married Esther Blackman Fellows, daughter of John Fellows and Sarah Blackman, on March 22, 1829 in Sampson County. She was born August 23, 1812 in Sampson County and died September 16, 1890 (age 78) in Carroll County. They are buried together in Old Salem Cemetery in Carroll County. 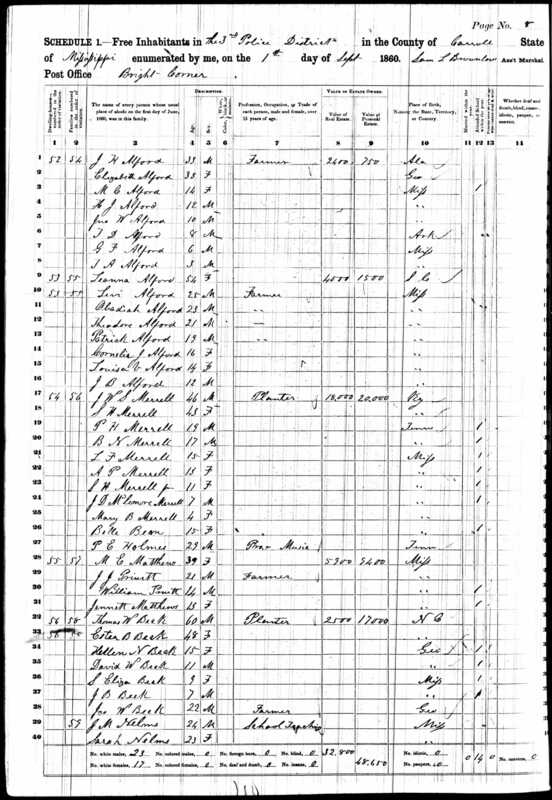 1850 Carroll County Census - Thomas W (age 51) and Esther (38) are living with their children Mary (17), Catherine (14), John (12), Helen (5), David (3) and Eliza (3 months). 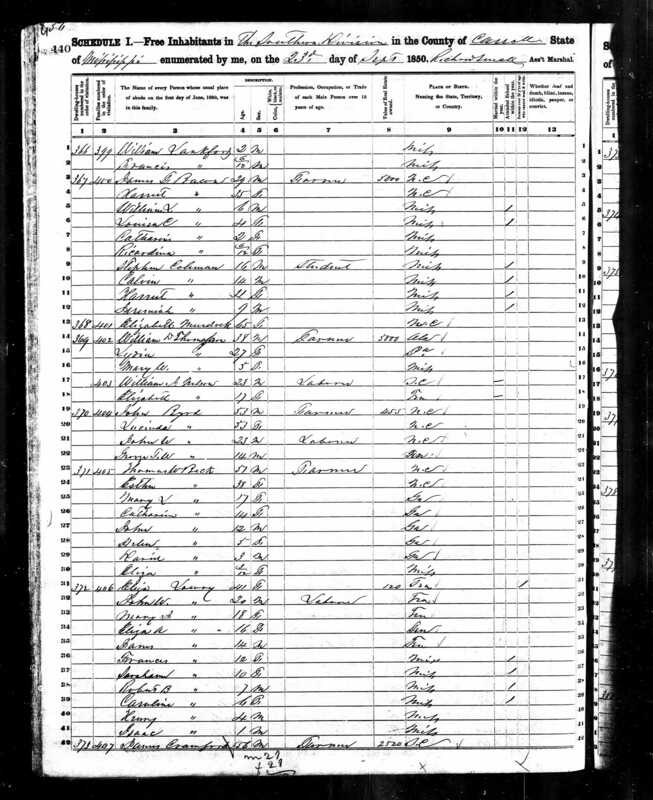 According to the census, Thomas and Esther were born in North Carolina, and all of the children were born in Georgia except for Eliza, who was born in Mississippi.